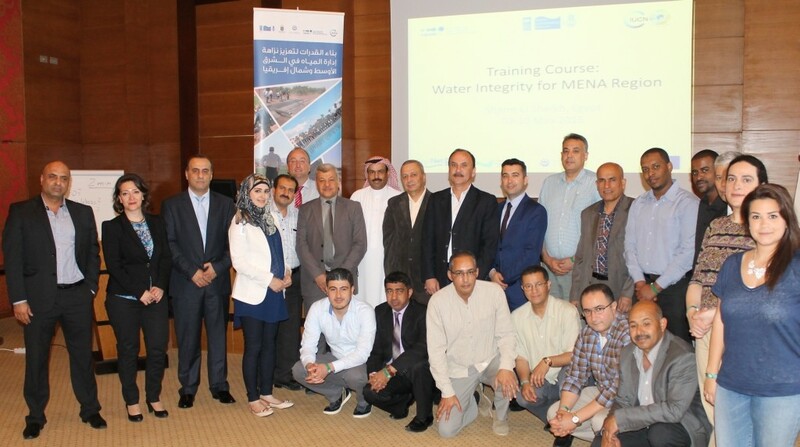 Following a successful first training in January 2015, the second regional training course on 'Water integrity for the Middle East and North Africa (MENA) region' was held from 9 to 10 May 2015 in Sharm El Sheikh, Egypt. The training course took place back to back with the IUCN-ROWA regional conference RKNOW “Water and Nature Conservation - Knowledge Sharing in MENA Region”. More than 20 participants learned about the context and relevance of integrity in the management of water; methods to improve transparency, accountability and participation for better water governance and more sustainable water management. This regional course was part of a series of training workshops, specifically tailored for the Middle East and North Africa region as part of the regional Water Integrity Capacity Building Programme in the Middle East and North Africa (WI MENA). The overall objective of the programme was to develop capacities of various stakeholders for water integrity in the MENA region, thereby improving transparency and accountability practices in water resources management. 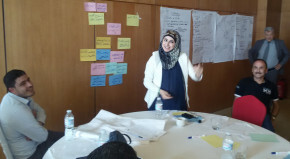 This training in particular aimed at reaching out to the wider MENA region; beyond the five pilot countries and the specific target groups of the WI MENA programme. For this regional training course ,Stockholm International Water Institute (SIWI) through the UNDP Water Governance Facility at SIWI (WGF) cooperated with the Arab Integrated Water Resources Management Network (AWARENET), a Cap-Net UNDP affiliated regional network on capacity development in sustainable water management for the Arab region hosted by the United Nations Economic and Social Commission for Western Asia (UN ESCWA); the International Union for Conservation of Nature - Regional Office for West Asia (IUCN-ROWA); and the Global Water Partnership - Mediterranean (GWP-Med). The WI MENA programme was supported by the Swedish International Development Cooperation Agency (Sida) and has been officially labelled under the Union for the Mediterranean (UfM) framework. Full media statement can be downloaded here.